Power 92 kW 123 hp Width 2430 mm 96"
Speed 2300 rpm Height 3120 mm 123"
Torque YJ320B model Dumping height 3500 mm 138"
*Optional: Perkins and Cummins engine Wheel base 2600 mm 102"
Track base 1800 mm 71"
Loading weight 3000 kg 6614 lbs Turning radius 5862 mm 231"
China Wheel Loader Manufacturer - The RC30 wheel loader with CE is part of the RC-Series which combine power and durability. 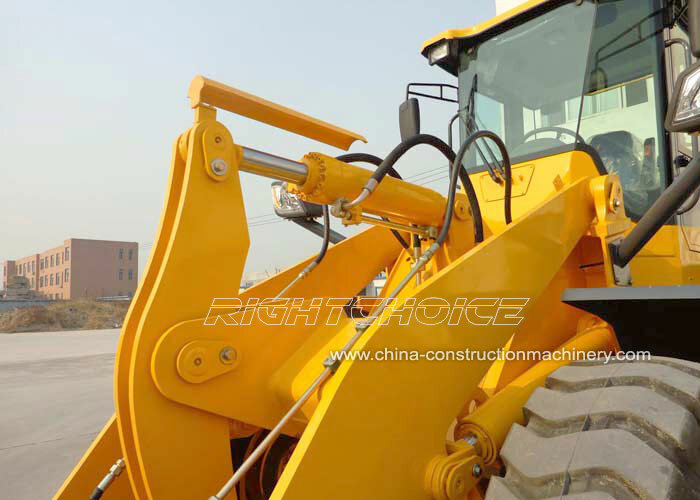 Its 10,800 kg operating weight and 3,000 kg (3 ton) loading weight capacity enables this machine to tackle heavy tasks. With innovative upgrades from previous models such as its new impact absorbing system, the RC30 incorporates both technical advancements as well as improved usability. 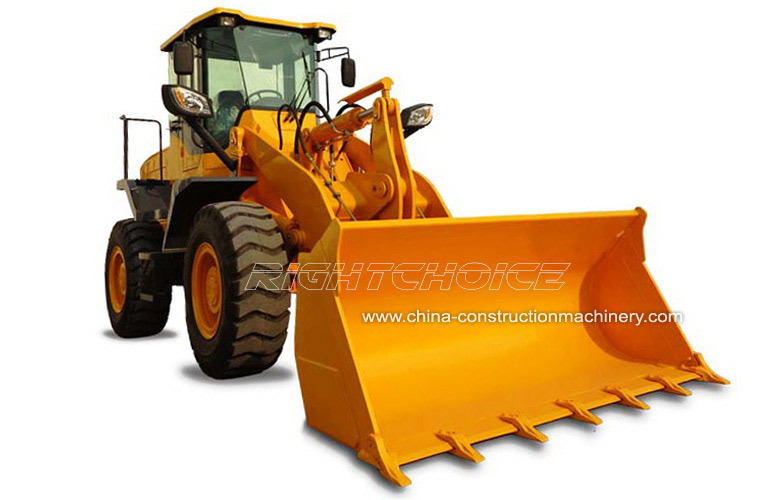 The result is a supreme smooth drive loader. The array of attachments that can be used with the RC30 makes it an efficient multi-purpose machine and has become particularly popular in Canada, Brazil and Europe. 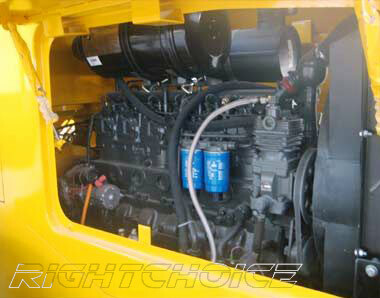 The Sino-German Weichai Deutz diesel engines are renowned for their high reliability. 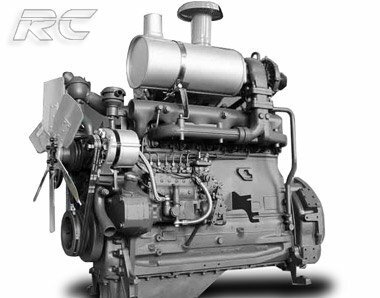 The Weichai Deutz TD226B model has a rated power of 92 kW at 2300 r/min and a fuel consumption of under 198 g/kW.h. This 6 cylinder, turbocharged intercooled engine operates optimally at altitudes of up to 4,000 meters. It requires little maintenance and powers the RC30's 3000 kg lifting weight under the harshest conditions. 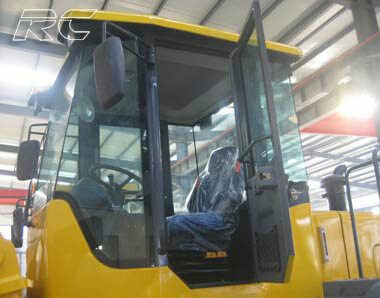 We also manufacture the RC30 wheel loader with Perkins and Cummins engines if requested by our customer. No matter how tough the job may be the RC30 has been designed to undertake the most challenging of tasks. 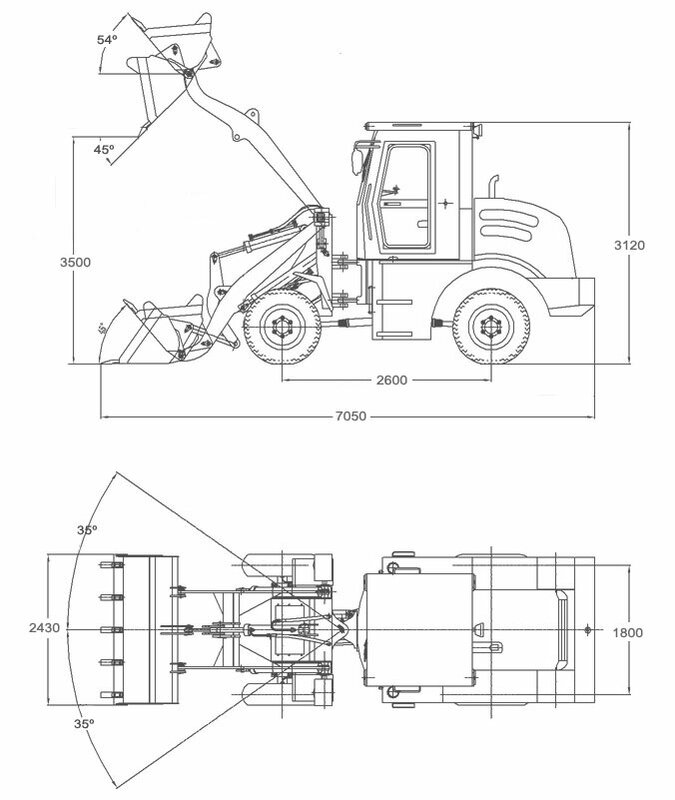 This loader has a full length (bucket on ground) of 7050 mm, a 2430 mm width and a 2600 mm wheel base. This structure makes it a both stable and easy to maneuver vehicle with speeds of up to 36 km/h. 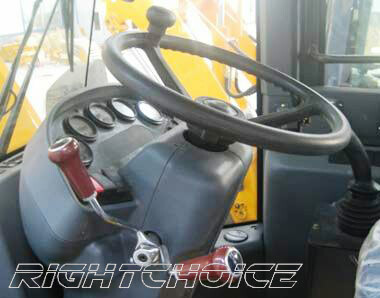 When it comes down to comfort and visibility, few wheel loaders exceed that of the RC30. Its luxury cabin is nicely equipped with features such as its rear camera and its joystick with mechanic quick hitch, which allows the operator to carry out tasks with the flick of a switch. 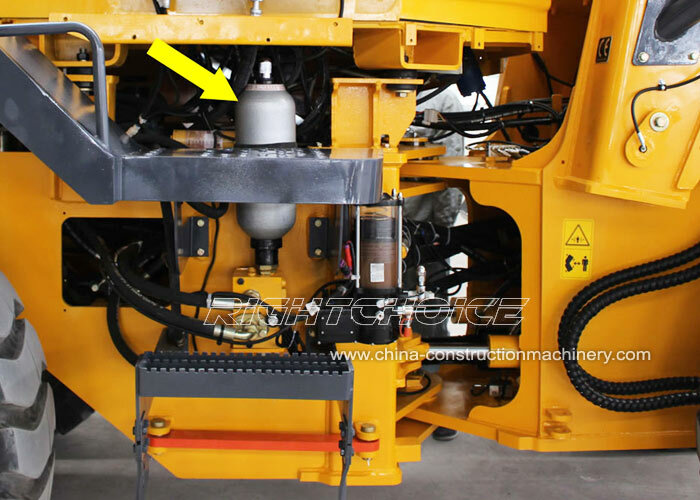 The RC30 has an YJ320B single-stage, single-phase, three element torque converter, a fix shaft power shifting gear box and Feicheng axle side reducers. Click for 'RC30 Technical Performance Parameters'. 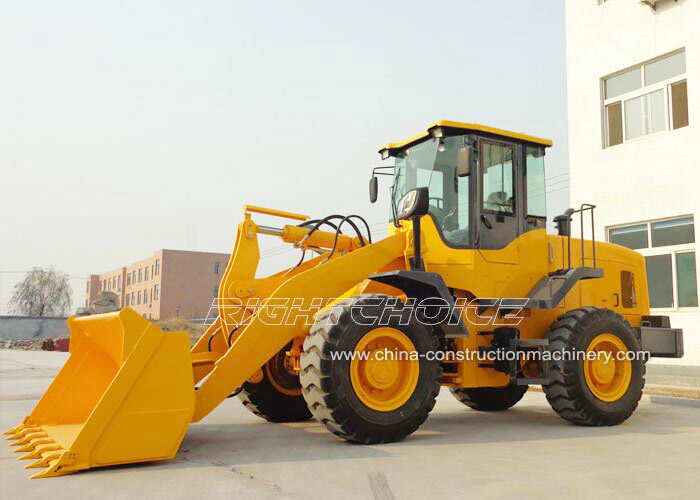 If you would like to inquire about the RC30 wheel loader or any of our models please feel free to send us a message. 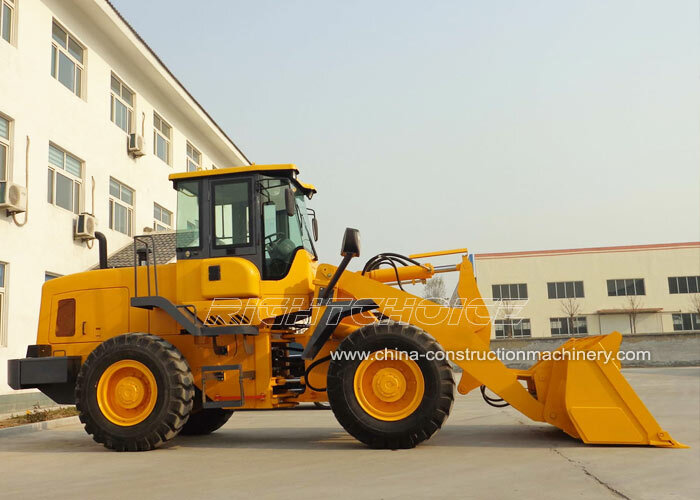 For more information about our China wheel loader manufacturer company click here.